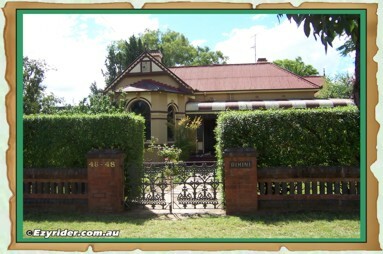 ﻿ Life in Australia 1950s and 1960s - Story with Pictures & Information. 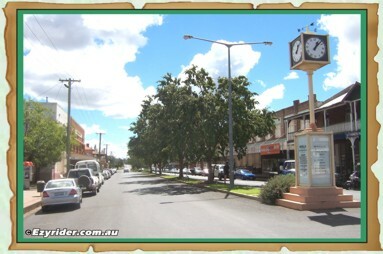 Manilla is a small quiet country town in north west NSW and is my home town. I started school here, and lived in Manilla for 10 years during 1955-1964. Please click on the link below for story about growing up in Manilla 1955-1964. The links below document aspects of Manilla, in pictures and information, and shows areas that are part of Manilla's heritage. Living in Manilla during the years 1955-1964 was simple and peaceful - and much of this is still the same today. Life today can still be captured within these simplistic interests - if current social paradigms change - And detach ourselves from the materialism of our society and reach within - Connecting to nature for solitude and harmony. As a young boy living in Manilla during 1955-1964 life was created through initiative and imagination. 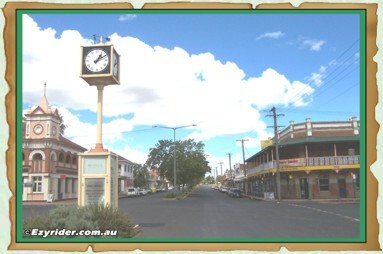 On the left shows Manilla Street looking north towards the bridge and the right picture looking south towards the park and road to Tamworth - The old 'Bank of NSW' building on the left and the Post Office Hotel on the right. 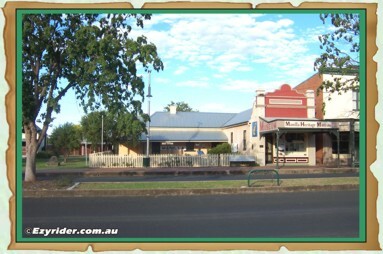 Manilla has many heritage buildings dating back to the 19th century. Some of these buildings are in main street Manilla, while others are along Strafford Street and other areas. The link below directs you to this picture gallery. 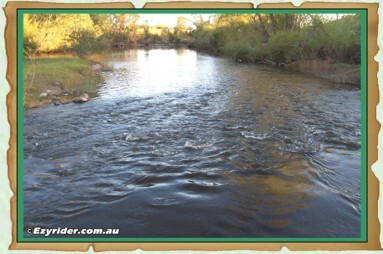 The Weir is located on the Namoi River, along Halls Creek Rd towards the Golf Club. 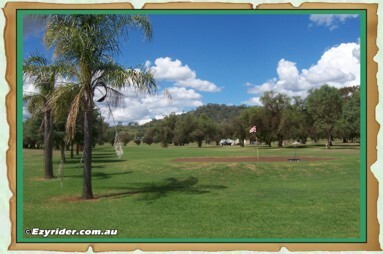 A caravan park is located close by. The river and weir area was the focal point for families and young people during the 1950's-60's before the local pool was built. 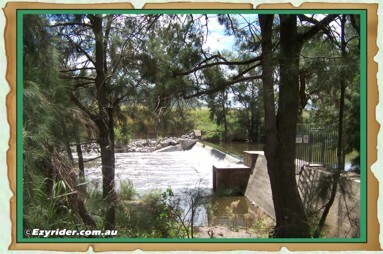 You could walk across the weir wall and dive from the north area. It was very busy during the summer months. Fishing is still enjoyed along the river area. 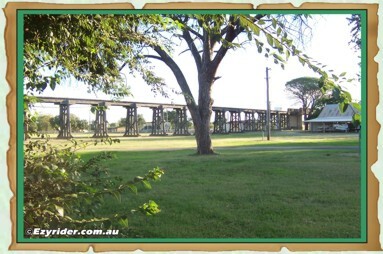 The Manilla Rail Bridge crosses the Namoi River, through the Manilla Showground area to the Manilla Station. It is unused now but in old days was an important link to other centres. 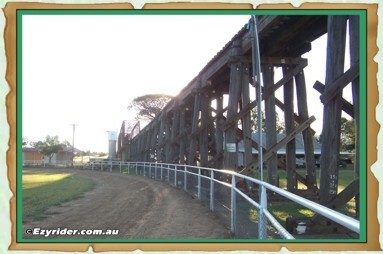 The steam hauled train that went to Manilla Station was called the North West Mail with all wooden carriages. These also included sleeper sections. 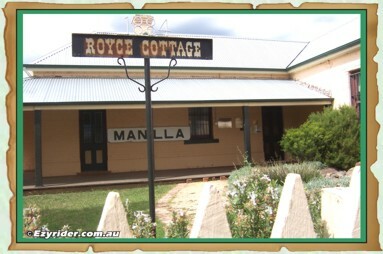 The Manilla Heritage Museum is located on the northern end of Manilla Street, towards the bridge in main street Manilla. 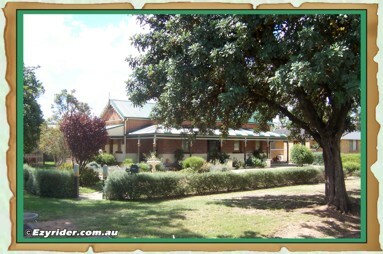 The Museum incorporates 'Royce Cottage' and adjacent to Royce Cottage is the first Yarramanbully one teacher school that operated during the 1920's. It documents many stages of Manilla's development and well worth a visit while in Manilla. Click on the link above for a documented story about growing up in Manilla during 1955-1964. Or Click Here. It is a story with pictures and covers many aspects of life. 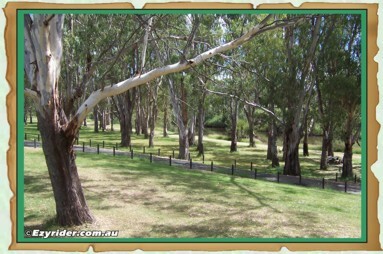 This Manilla River walk commences just below River Street at the junction of the Namoi and Manilla rivers. 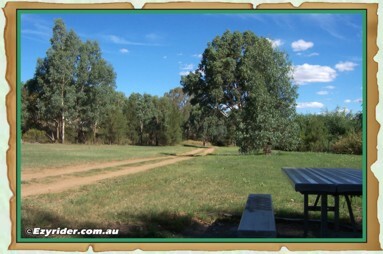 It takes you through peaceful natural settings, towards the showground and the Higgins Bridge area. 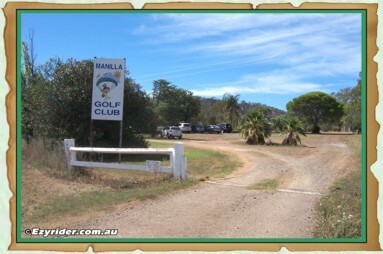 The Manilla Golf Club is a 9 hole course with traditional grass greens. 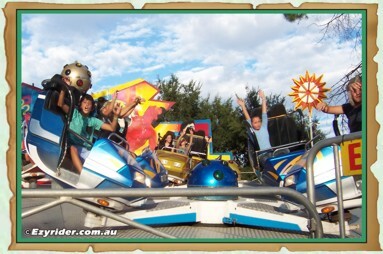 It has maintained its feel from the 1950's-1960's and continues to provide enjoyment for the locals and others. The 80th Manilla Show was held in March 2014 over 3 days. Friday was Heritage Day with the primary school in attendance, and a variety of entertainment was provided during all three days and nights. From the livestock judging and camp draft, to side-show alley, the ute show and rodeo. 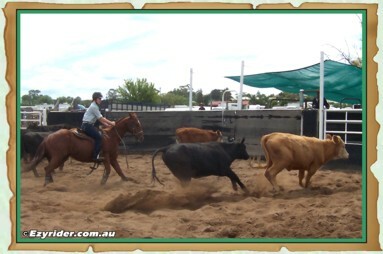 Click on the link above, or below, for a picture gallery and information about the 80th Manilla NSW Show.